Are nurses required to complete the new Human Trafficking continuing education course if they qualify for the CE exemption, as outlined in Section 464.013, FS? Where can I find CE providers? I endorsed in from another state. How many contact hours do I need to renew my license? Can I use college courses for continuing education? Yes. Contact hours may be awarded for completion of credit courses in nursing at an accredited institution of higher learning. 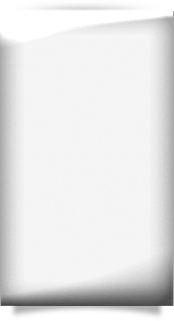 However, general education may not be used for C.E. credit. One college course that meets 3 hours a week for 15 weeks is worth 45 CE hours. How do college courses convert to contact hours? One credit hour per quarter converts to ten contact hours. One credit hour per semester converts to fifteen contact hours. In order to receive continuing education credit, retain transcripts or legible dated grade reports for four years in case you are audited. 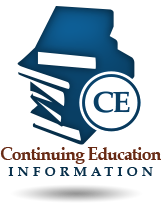 I have earned over 26 hours of continuing education units (CEUs). Can I carry the balance over to the next renewal period? No, all CEUs must be earned within your renewal period and cannot be carried over to the next biennium. Also, CEs taken prior to the issuance of a permanent license cannot be counted towards renewal requirements. I have received my renewal notice and have not completed all of my required contact hours. Can I mail my renewal in and complete my hours later? No. 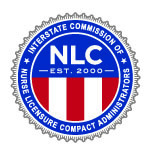 Nurses must complete CE requirements within the appropriate biennium. By sending in your renewal and fee you are affirming that you have complied with all licensure renewal requirements. Can nurses take courses that offer Continuing Medical Education (CME) credits? Only APRNs may earn CME. APRNs may use CME for up to half of the mandatory CE requirements. How do I become a CE Provider? Please visit www.CEBroker.com for the application to become a CE provider.